Uta’s fascination for yoga began at Jivamukti Yoga in Berlin in 2010. 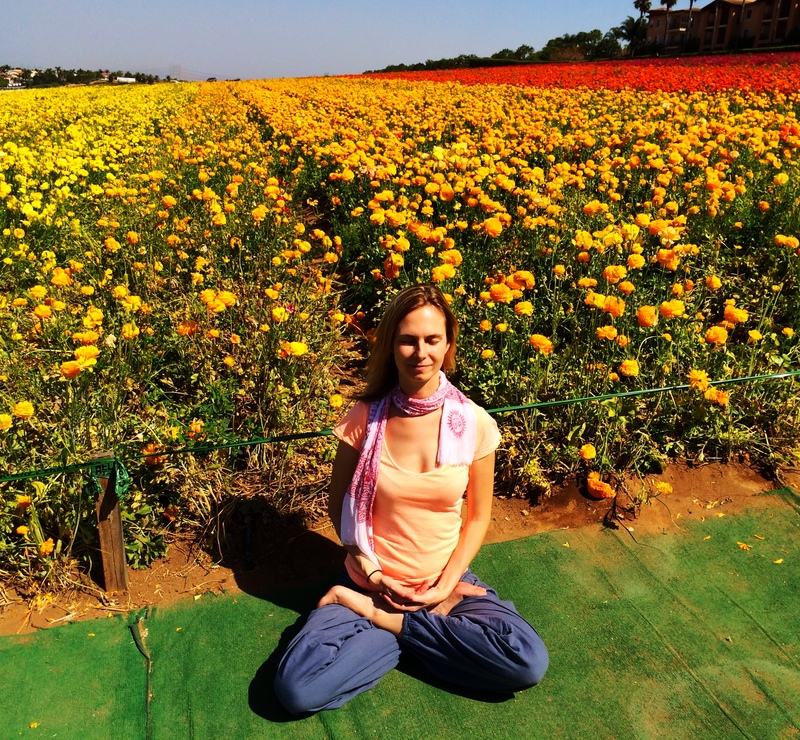 In 2011 she was drawn to San Diego and discovered Ashtanga Yoga. She received her 200 hour Yoga Alliance certificate from Namaste Pacific in 2012 and began teaching. In 2013 she completed the Primary Series Teacher Training with Tim Miller at the Ashtanga Yoga Center, where she currently practices. She has attended five Vipassana meditation retreats and enjoys sharing her meditation practice. Uta also plays the harmonium and loves chanting with friends. Join her in chanting, for meditation or schedule a yoga class with her. Troy began his journey into mindfulness as a teenager hanging out with the monastics at Deer Park Monastery. In 2007 he discovered yoga and has been a dedicated practitioner ever since. Leaving no stone unturned, Troy has sought out various methods of yoga including Bikram Yoga, Vinyasa Flow, Kundalini, and Anusara just to name a few. In 2009 he began dedicated study under the guidance of Jonathan Patriarca of the Bheemahakti Yoga School. Later Troy found Ashtanga Vinyasa Yoga and completed his 200 hour Yoga Alliance certified training at Namaste Pacific and began teaching. He has since become authorized to teach Rocket Vinyasa through AstaYoga and completed the first Bheemashakti Yoga Teacher Authorization in 2014. He is currently teaching at Ginseng Yoga and Kundinyasa Yoga in San Diego and available for privates.